In this dazzling novel, the book that established his international reputation, Roberto Bolaño tells the story of two modern-day Quixotes--the last survivors of an underground literary movement, perhaps of literature itself--on a tragicomic quest through a darkening, entropic universe: our own. 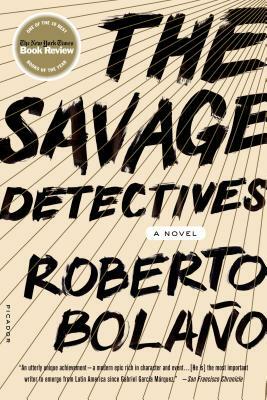 The Savage Detectives is an exuberant, raunchy, wildly inventive, and ambitious novel from one of the greatest Latin American authors of our age. Roberto Bolaño was born in Santiago, Chile, in 1953. He grew up in Chile and Mexico City, where he was a founder of the Infrarealist poetry movement. His first full-length novel, The Savage Detectives, received the Herralde Prize and the Rómulo Gallegos Prize when it appeared in 1998. Roberto Bolaño died in Blanes, Spain, at the age of fifty. Natasha Wimmer is a translator who has worked on Roberto Bolaño’s 2666, for which she was awarded the PEN Translation prize in 2009, and The Savage Detectives. She lives in New York.